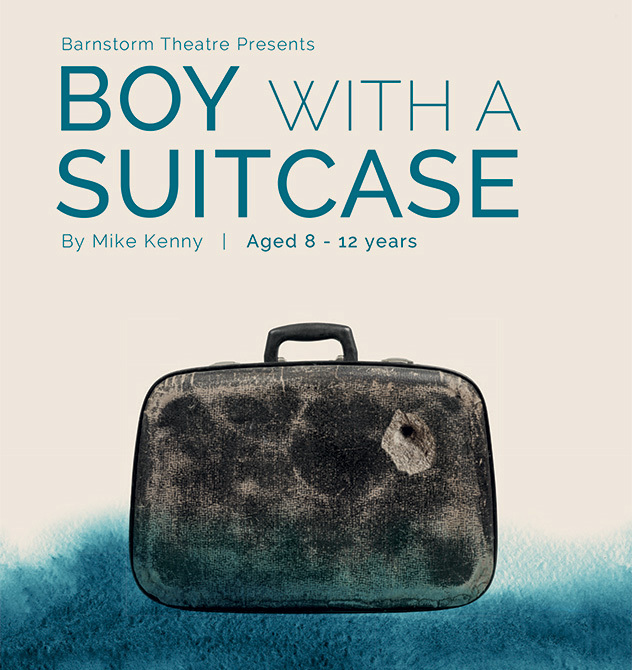 Boy with a Suitcase is the story of a 12 year old war refugee, who undertakes a long and dangerous journey to find asylum in Ireland. He carries with him only a small suitcase and a treasure of stories from his childhood. Like his hero, Sinbad the Sailor, who undertook many perilous voyages in search of his fortune, Naz must travel half-way around the world to reach the safety of his brother in Dublin. Naz teams up with Krysia, a young girl in similar circumstances, who helps him dodge soldiers and find safe passage over mountains, across seas and through the mire of a city slum. A gripping tale of adventure and stories, Naz’s journey throws a spotlight on the real dangers faced by children in other parts of the world, and the lengths to which they must go to reach safety in the relative security of a country like Ireland. For Co Kilkenny schools, classes attending a performance will receive two workshops in their school, a session on visual literacy in advance of the performance and a second workshop on critical analysis in the days following their visit to the theatre – there is limited availability and will be provided on a ‘first-come’ basis. A resource pack, developed in association with Ann Murtagh, will be provided to participating teachers. The pack will provide a focus for exploration and discussion of themes raised through the play. Mike Kenny is a teacher, a parent, an actor and an award-winning playwright. He has written in excess of 50 plays for children of all ages and is included in the list of Britain’s top ten playwrights. Boy with a Suitcase plays at Watergate Theatre, Kilkenny from March 6 -9 2019.